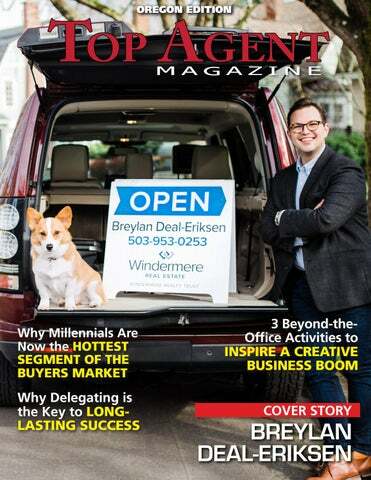 Breylan Deal-Eriksen is a Principal Broker and Realtor at Windermere Realty Trust in Portland, Oregon. D. We urge a pre-inspection plan to get rid of the little and big problems before a buyer is involved and wants everything built new. 5. Our agreements are 6 months, but that is not what sells properties. Marketing and price sell property. If we are wrong about those two items, we will adjust every week based upon showings and consultations with you. 6. I would also like to advise you on a misconception. Rental costs average about 35% of market rent in our area. Add in lost opportunity costs on your equity that is not doing anything at this point. I can show you how your current position is losing you money every month. I think our next step is a presentation of the tools we bring to achieve your goals. Listing with friends is loyal, but is it the best business decision? Do they have the tools and will you hold their feet to the fire when the results are not what you need? (Client’s name), you know the difference superstars make on a team. Let’s go for the win. It’s not so much whether my coaching client obtained the listing, but he needed to stand up for a profitable, long term business. Never sell yourself short to get business. You will never be happy. In these situations, I cannot guarantee an outcome, but I can guarantee the client will never forget you. You are planting seeds of discontentment with the small amount of money saved in a commission compared to not achieving their goal. Whether he/she admits it or not, he/she will have respect for you. Do more lead generation so you won’t have to work so hard on leads like these. Copyright©, 2015 Walter Sanford. All rights reserved. Why Delegating is the Key to Long-lasting Success Delegating isn’t a dirty word. 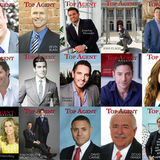 In fact, it’s the secret weapon of some of the most successful real estate leaders out there. Those that want to succeed and lead a business built to last understand that delegating is the key to growth and longevity. While the idea of delegating may sound nice, consider a few ways in which delegating adds professional value that goes far beyond efficiency. While the idea of delegating may sound nice, consider a few ways in which delegating adds professional value that goes far beyond efficiency. management skills, in addition to lightening your load for the better. DELEGATING BUILDS COLLECTIVE CONFIDENCE Another byproduct of delegating is that it builds collective confidence in the ranks of your office. By giving employees the chance to flex their skills and control their own small slice of the pie, you’ll be fostering a sense of responsibility and growth on your talent roster. Not only will your staff benefit from the chance to step out on their own, but the team will also benefit as a whole, as each member will attack their duties with a renewed sense of confidence and competence. This collective aptitude will translate to clients and industry colleagues, who will sense the power of a practiced, well-calibrated team in which each member has the chance to shine. questions, and by making progress reports the standard. After a while, these good habits will become engrained in your team, and your office will benefit from a uniform and effective communication style, no matter the project. DELEGATING TURNS ACCOMPLISHMENTS INTO A TEAM WIN The ultimate goal of delegating duties is to get the job done, but when you practice delegation, each team member will have a stake in the outcome. In other words, a job well done can be celebrated by all. Giving your team the chance to invest themselves in an overarching project allows for a big pay-off once success is achieved. Not only does this boost morale and provide meaningful motivation for daily work, but it also builds a sense of comradery among the ranks. What’s more, team members will know they’re taken seriously and considered valuable to the team’s dynamic. And don’t forget: a job well done is a reward in and of itself, but it also doesn’t hurt to demonstrate your gratitude for a team goal accomplished. Delegating responsibilities isn’t a new idea, but the benefits are more plentiful than most imagine. With that in mind, capitalize on opportunities to delegate and you’ll not only be bolstering your business, but building your team and your own professional profile for the long haul.